So. It’s June… I’m not quite sure how this happened and I haven’t published any posts since mid-April (oopsie) but now that classes and finals are over for the semester and I have my first year of grad school finished I’m hoping I have more time to share the delicious things I cook up with all of you. As a catch up here’s a review of what the world has been liking on my blog and some pretty great recipes I’ve found, enjoy! 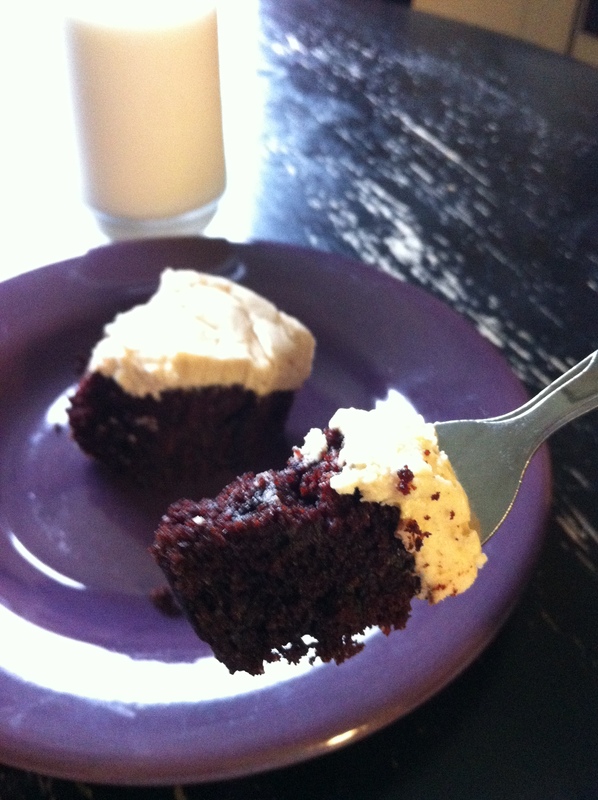 Chocolate Mayonnaise Cake with Peanut Butter Icing – Moist chocolate cake, rich peanut butter icing, a classic favorite for a reason! 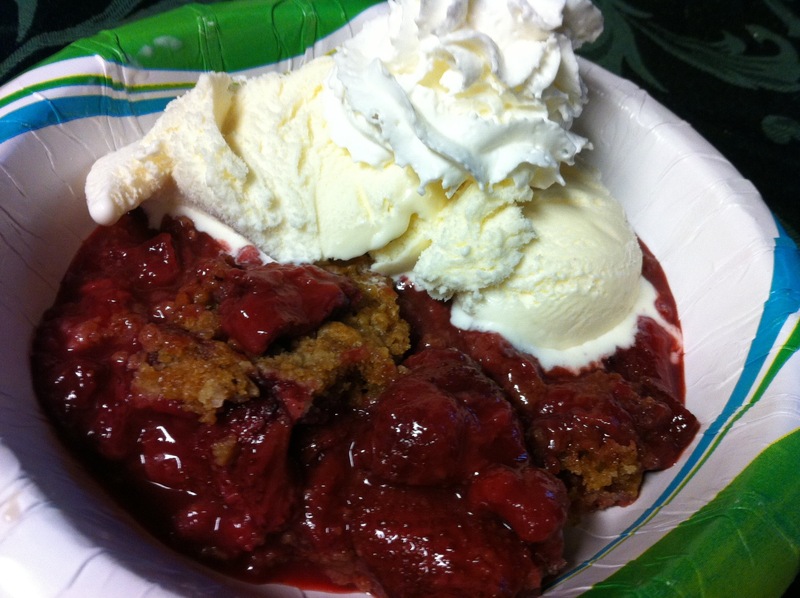 Dutch Oven Strawberry Cobbler – Tangy, sweet, delicious, a perfect summer dessert. 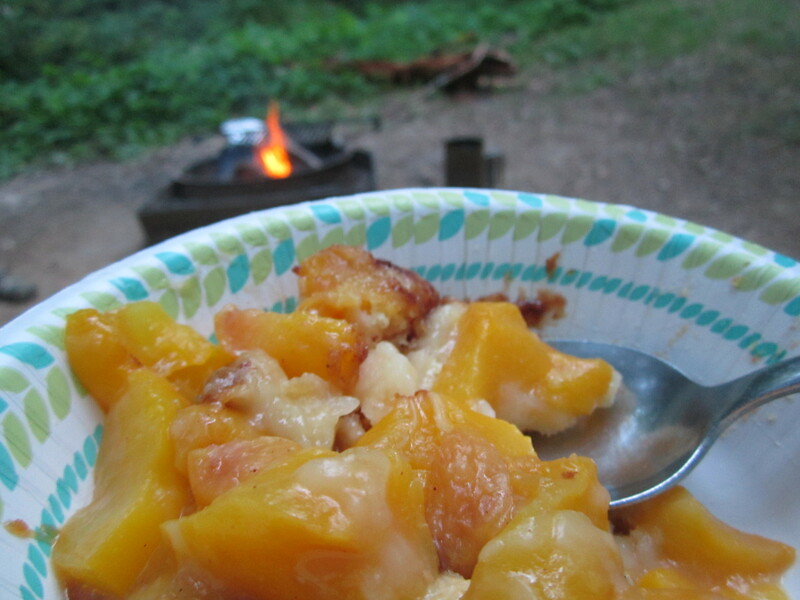 Dutch Oven Peach Cobbler – Swap strawberries for peaches and you have another perfect summer dessert! 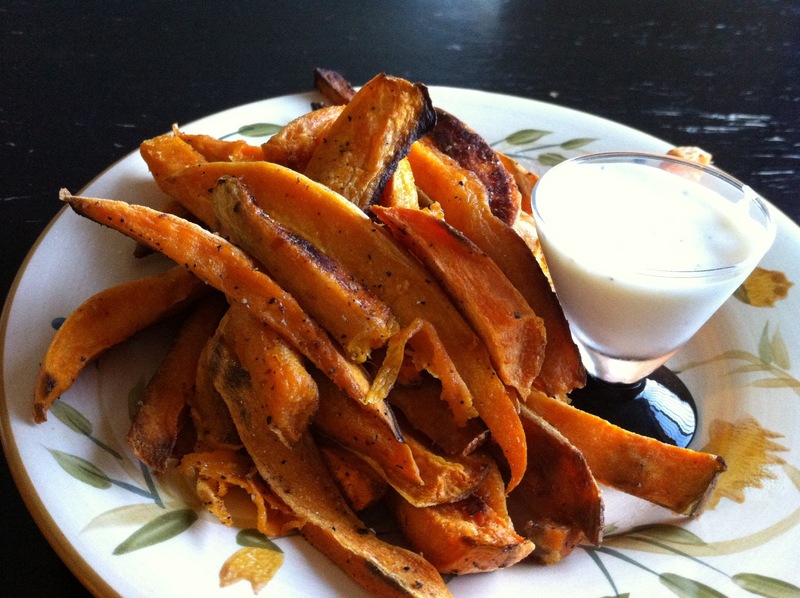 Sweet Potato Fries with Greek Yogurt-Sour Cream Dipping Sauce – Super easy, super yummy, consistently a favorite, make them now if you haven’t already! 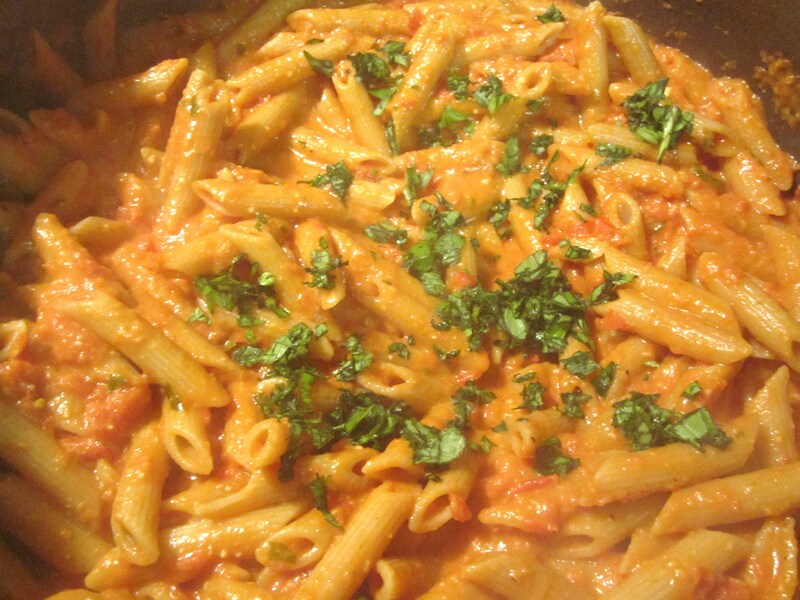 Penne with Vodka Sauce – A great, tasty pasta dish. 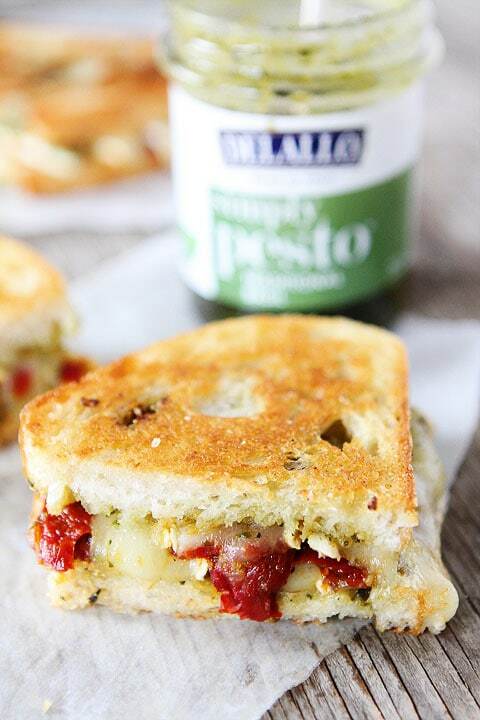 Apparently April was National Grilled Cheese Month, this Brie, Pesto, and Sweet Pepper Grilled Cheese (from Two Peas and Their Pod) looks like an excellent way to celebrate. This Strawberry Salsa (from Six Sisters’ Stuff) sounds like an excellent twist on the classic chips and salsa, I want some ASAP! 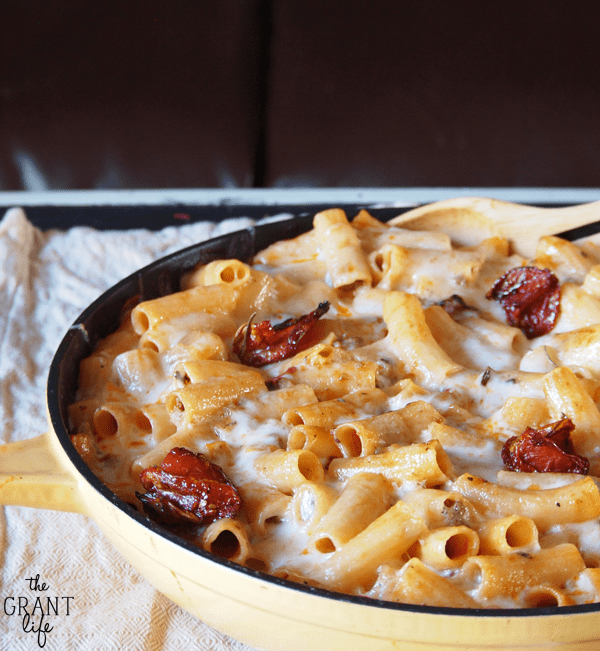 I love pasta, and a one skillet dish is always great, so this Roasted Tomato Skillet Pasta (from The Grant Life) is the perfect option for a quick dinner. 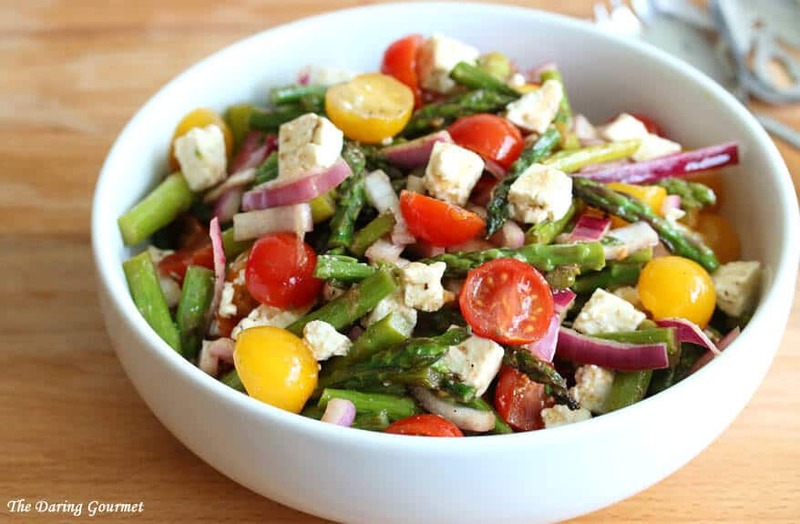 Now that it’s (finally) warm out this Greek-Style Grilled Asparagus Salad with Tomatoes and Feta (From The Daring Gourmet) looks like a delicious dinner. I absolutely love breakfast food and this Chorizo Green Chile Breakfast Skillet (from Host the Toast Blog) will be making an appearance on my breakfast table in the near future. 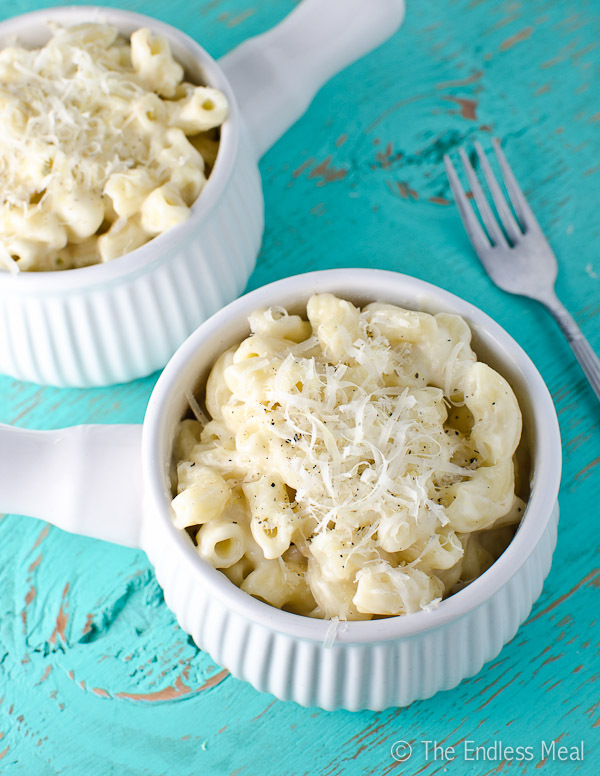 Four Cheese Macaroni and Cheese (from The Endless Meal) looks like a creamy, rich, delicious version of my favorite food! 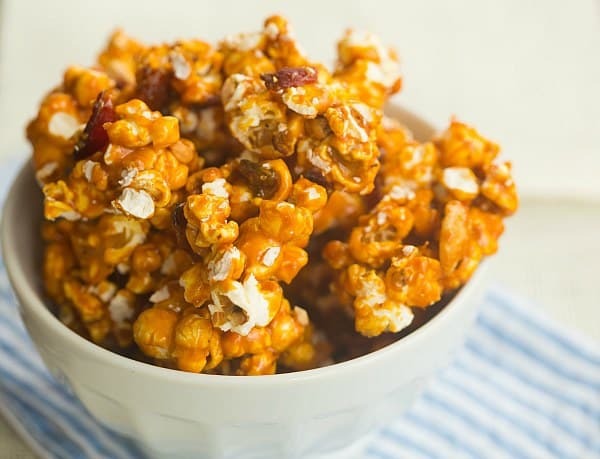 I need this Bacon and Cashew Bourbon Caramel Corn (From Brown Eyed Baker) and I need it now! 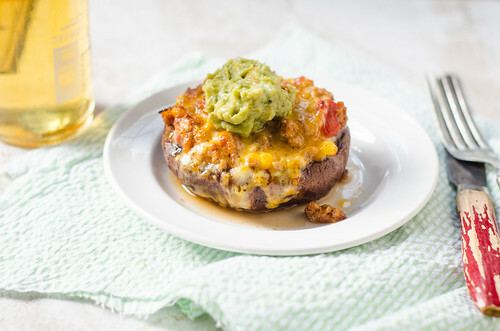 These Chipotle Turkey-Stuffed Portobello Mushrooms (From Pink Parsley) look absolutely amazing! 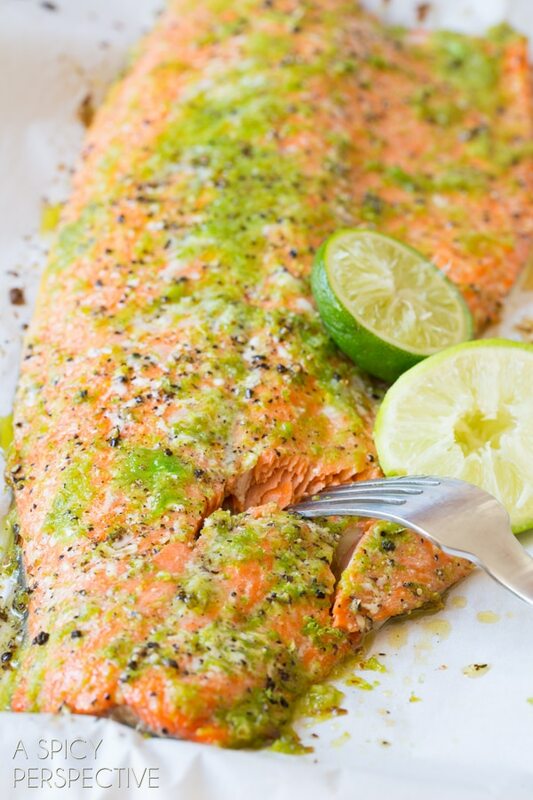 I love salmon, and this Spicy Garlic Lime Baked Salmon (from A Spicy Perspective) sounds like a great recipe. I’m not sure how I managed to have only one dessert recipe in this roundup but these Carrot Cake Cheesecake Crumble Bars (From Wicked Good Kitchen) look like an amazing concoction combining two delicious desserts into one yummy bar! I’m kind of obsessed with s’mores and I’m totally in love with this variation – Oatmeal, Chocolate Chip, and Graham Cracker Cookie S’mores (From Half Baked Harvest). 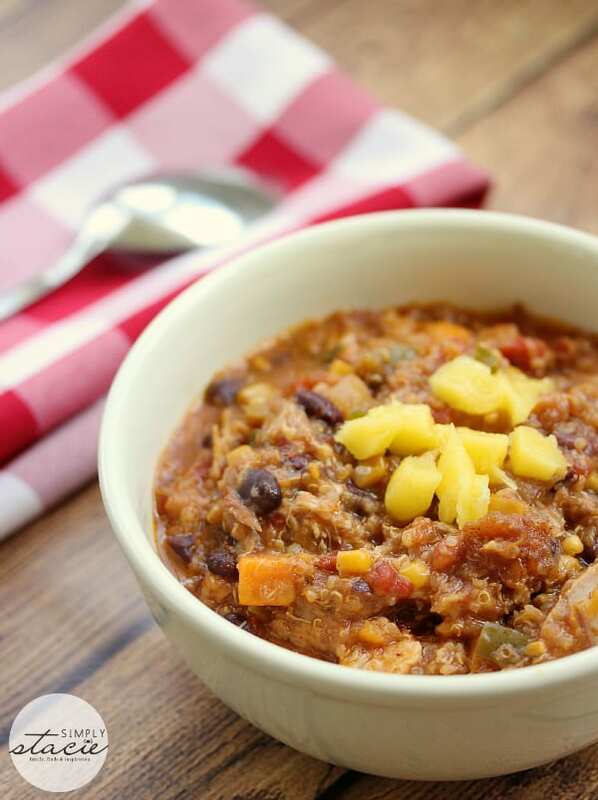 I love using my crock-pot and this Slow Cooker Chicken Quinoa Chili (From Simply Stacie) looks like a great recipe to try. This Blueberry Sailor Tea (From Tattooed Martha) needs to make an appearance at my pool, like right now. Roasted Chicken with a Sweet and Spicy Tamarind Ginger Glaze (From Creole Contessa) sounds like a delicious take on a classic chicken dinner. Who wouldn’t love these homemade Strawberry Cupcakes (From Treats)? Everyone loves a good cocktail and this Fresh Whiskey Sour (From Everybody Loves Pretty) looks like an amazing classic! I want to try this jazzed up version of a granola bar, Trail Mix Peanut Butter Bars (From Deliciously Sprinkled). 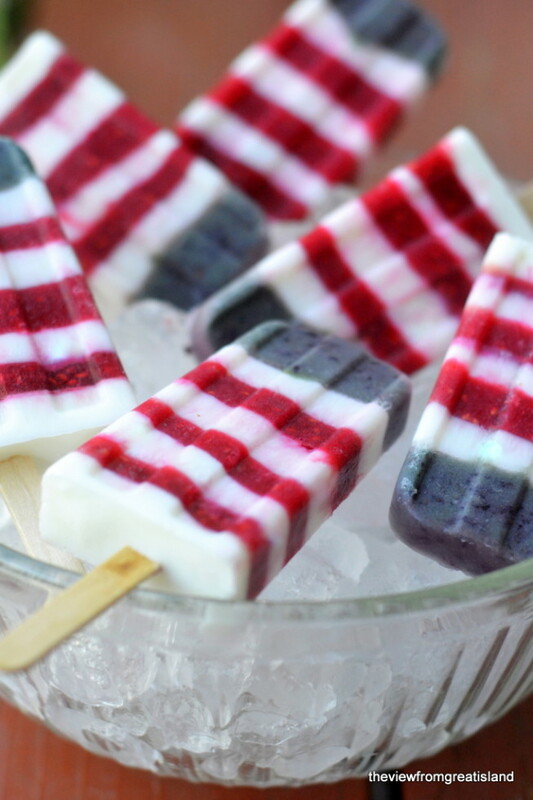 These Red White and Blueberry Yogurt Popsicles (From The View From Great Island) are super adorable and look like the perfect summertime treat! I want this Eggs Benedict with Bacon, Avodaise, and Harissa (From Closet Cooking) for breakfast pronto! 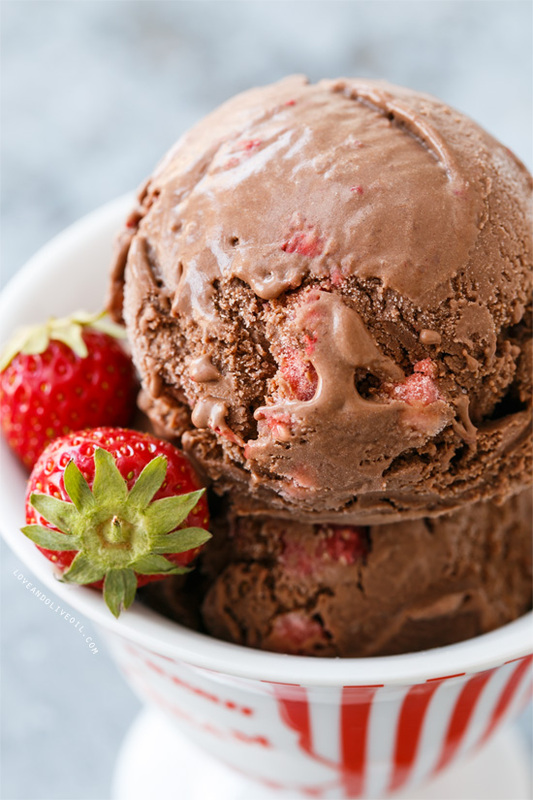 This Dark Chocolate Strawberry Ice Cream (From Love & Olive Oil) will most definitely be appearing in my ice cream maker this summer. 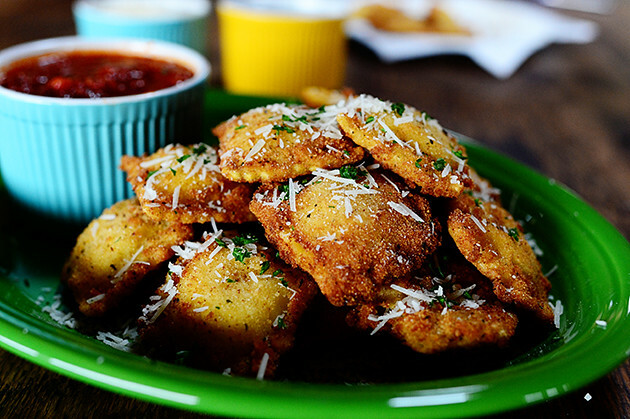 One of my favorite meals at my college dining hall was the breaded ravioli, so I got super excited when I saw this recipe for Toasted Ravioli (From The Pioneer Woman), I’m definitely going to try it out. Oh my decadence! 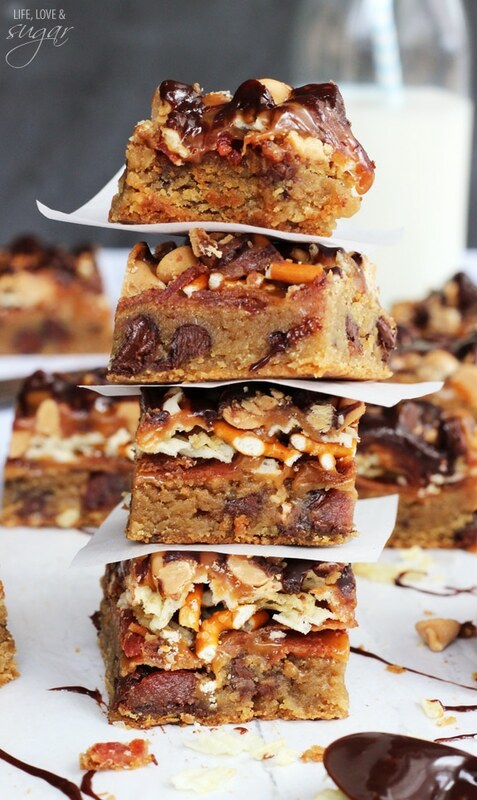 I don’t even have words for how delicious these Bacon, Beer, and Potato Chip Cookie Bars (From Life, Love & Sugar) look! Thank you south for the mention! We are so happy you enjoyed our recipe! Congrats on surviving your first year! Made some s’mores cookies the other day and told some of my labmates about you! Thanks An! I hope the cookies were tasty!